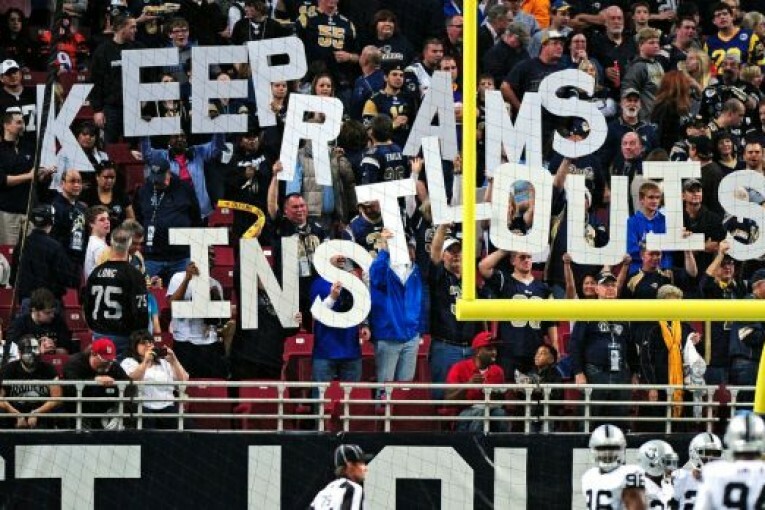 KEEP THE RAMS, KEEP THE RAMS was chant that roared through Edward Jones Dome on December 27th as the Rams played their last home regular season game in St. Louis for the 2015-2016 season, and potentially indefinitely. 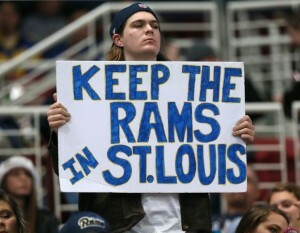 St. Louis is one of three teams that filed to move to Los Angeles along with its Californian peers The San Diego Chargers and Oakland Raiders. As if Los Angeles traffic wasn’t bad enough right? Three teams – the Oakland Raiders, St. Louis Rams, and San Diego Chargers – each submitted applications to our office today to relocate their franchises to the Los Angeles area beginning with the 2016 season. Each team submitted the appropriate documentation in support of its application as required by the NFL Policy and Procedures for Proposed Franchise Relocations. The applications are set to be reviewed this week. LA may even be expecting two teams depending on how this situation pans out. According to The San Diego Union Tribune stating that The Chargers and Raiders were scheming on potentially sharing a practice facility. 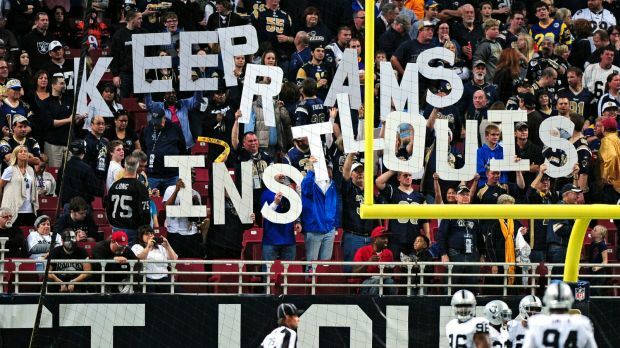 Sorry Rams.. or maybe hooray for the St. Louis fans! The NFL went on to say that: The applications will be reviewed this week by league staff and three league committees that will meet in New York on Wednesday and Thursday — the Los Angeles Opportunities, Stadium, and Finance committees. The applications will be presented for consideration at next week’s league meeting in Houston on Tuesday and Wednesday. The relocation of a franchise requires the affirmative vote of three-quarters of the NFL clubs (24 of 32). Along with the potential geographical move of these three teams, there are now 6 teams looking for head coaching positions; Giants, Eagles, Titans, 49ers, Dolphins, and Browns This has the looks of being one of the busiest offseasons the NFL will see since its inception. So good luck guys!